Save BHD 0 (0%) Earn 4 Shukrans What is Shukran? Shukran is the Landmark Group’s award-winning loyalty programme in the Middle East, which allows you to earn Shukrans when you shop any of our brands. 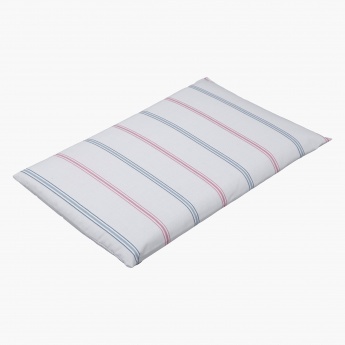 Comfortable and cosy, this pillow is an ideal pick for your kid. Featuring a smart shape and design, it has striped pattern all over and lends appropriate support to the neck and head.